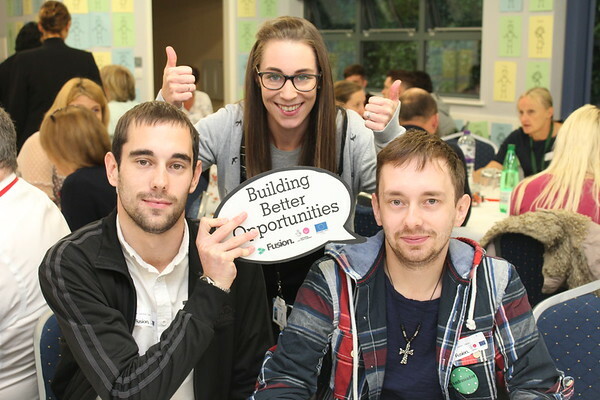 Laura offers support to people within the Wyre Forest area under our Building Better Opportunities project which is funded by ESF and match funded by the Big Lottery. Having previously worked in a support worker role, Laura has already helped so many candidates to achieve and succeed to the best of their abilities. I wanted to become a Job Coach so I could support people to realise their capabilities and help them reach their goals. I have a passion for helping others and feel everyone should have the opportunity to reach their full potential and this is exactly what Job Coach role offers. Every day in this role is different; it could involve assisting participants with writing their CV’s, cover letters and applications forms, to supporting someone to attend their dentist appointment or supporting their independence on public transport. The variety of areas that the Fusion Job Coaches support participants through this programme provides them with every opportunity to remove any barriers to them achieving their end goals and dreams. The most rewarding part of this role is seeing participants start to believe in themselves and eventually seeing them succeed! The BBO project is a fantastic opportunity to gain personalised and individual support to help you develop and overcome any barriers, in order to achieve your goals. The programme provides the opportunities to build confidence and motivation through allowing the participant to realise their abilities and capabilities, as well as helping facilitate opportunities to do so. If you would like to chat to Laura about how she could support you, you can contact her on laura.draper@vestia.org.uk or 07725 207877.